So, if you are about to purchase (or sell!) a Fixer-Upper for X dollars, and you know it needs X dollars in renovations, this helps the buyer wrap it all up in one loan. It’s like a Home Equity Loan, in that you are financing the same kinds of home improvements. But it’s a loan that you take UP FRONT, instead of years later after you build up equity. There are even options available for an investment property or to purchase a second home. A Renovation Loan through New South Mortgage is covered under HUD/FHA “203k Rehab Mortgage Insurance.” Loans can be small, starting at $5,000. Or, they can be very extensive, like a complete rebuild – as long as the foundation stays the same. Being federally insured, there will be special requirements for your projects, like high Energy Star and structural safety ratings. 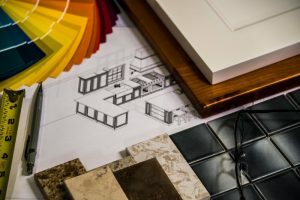 So, if you are looking to remodel or rehab SOON, Renovation Loans can make that happen! To learn more about your mortgage loan options, contact New South Mortgage, a trusted Charleston SC name for 20 years!